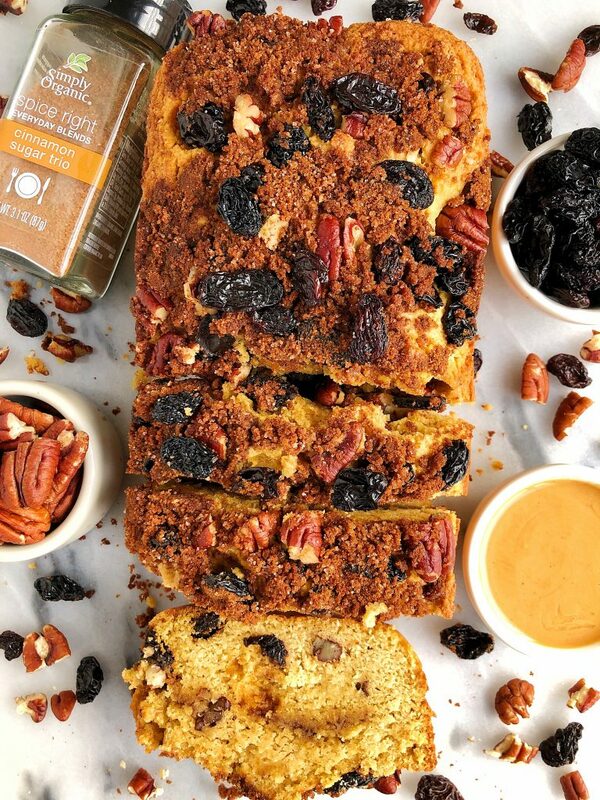 Gluten-free Cinnamon Swirl Breakfast Bread made with all grain-free and dairy-free ingredients for a healthy twist on cinnamon swirl bread! I am giddy just thinking about this recipe right now. Making that Vegan Cinnamon Roll Banana Bread got me on a roll! This is hands down one of my favorite breads I have ever made. That is a very bold statement, I know! I am beyond obsessed. 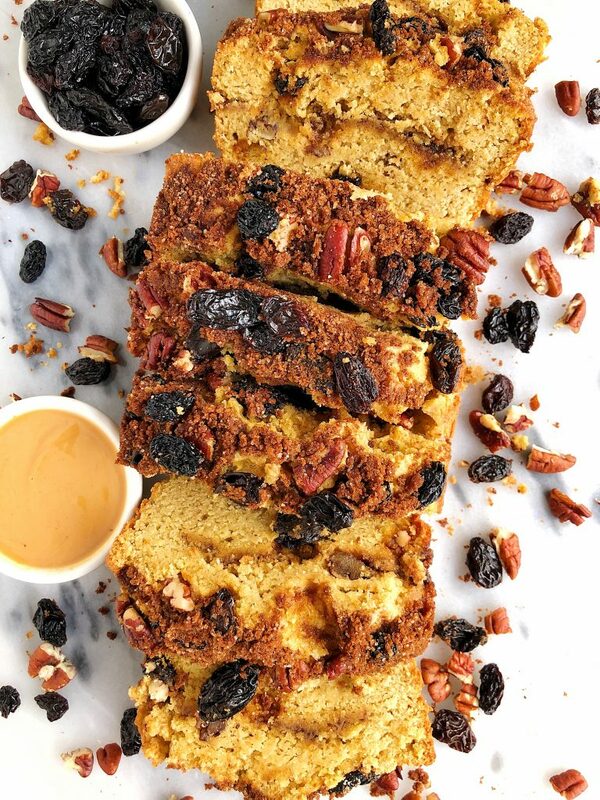 As someone who absolutely loves cinnamon raisin bread and all things breakfast bread, this is the ultimate loaf. 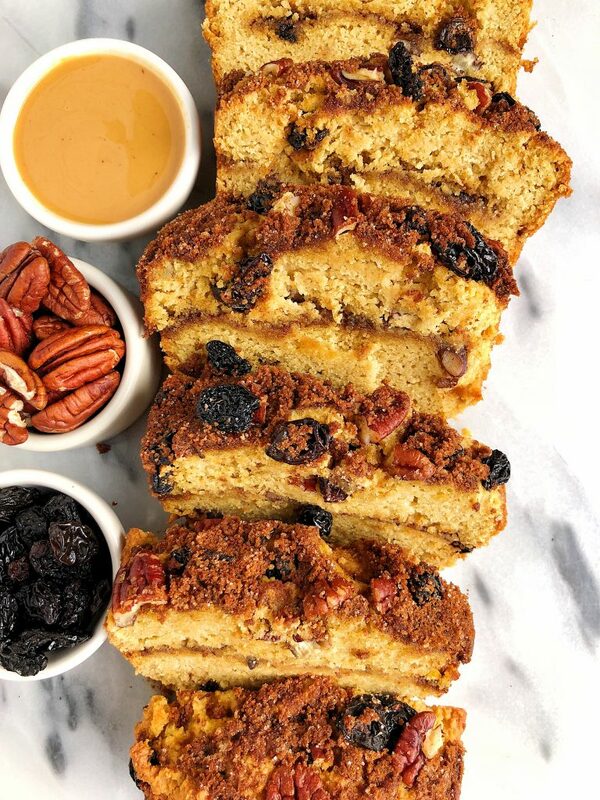 It has that cinnamon raisin bread taste and the consistency of a breakfast cake of sorts. An absolute dream. What I also love about this recipe is how tastes 100x more indulgent than it actually is. It is made with all grain-free, dairy-free and gluten-free ingredients too. I use a mix of almond, coconut and tapioca flours for the flour. These flours work so well in this recipe and they make it very filling and satisfying for a sweeter bread. I sweeten the bread with a mix of coconut sugar and Simply Organic Cinnamon Sugar Trio. Not sure where the cinnamon sugar trio has been all my life, but thank you Simply Organic. This is officially going to be my go-to in cinnamon rolls and anything else I am whipping up that needs that cinnamon taste. I also use this blend in the cinnamon sugar swirl in the bread. The swirl itself is really what makes it even tastier. It gives a sweet cinnamon sugar taste throughout the bread and when you eat it warmed or hot out of the oven, I cannot recommend smearing a little nut butter or butter on top. It is too die for! You’ll also see I use Simply Organic’s Vanilla Extract in this recipe (and pretty much all my baking recipes). My spice cabinet is overflowing with their products at all times. 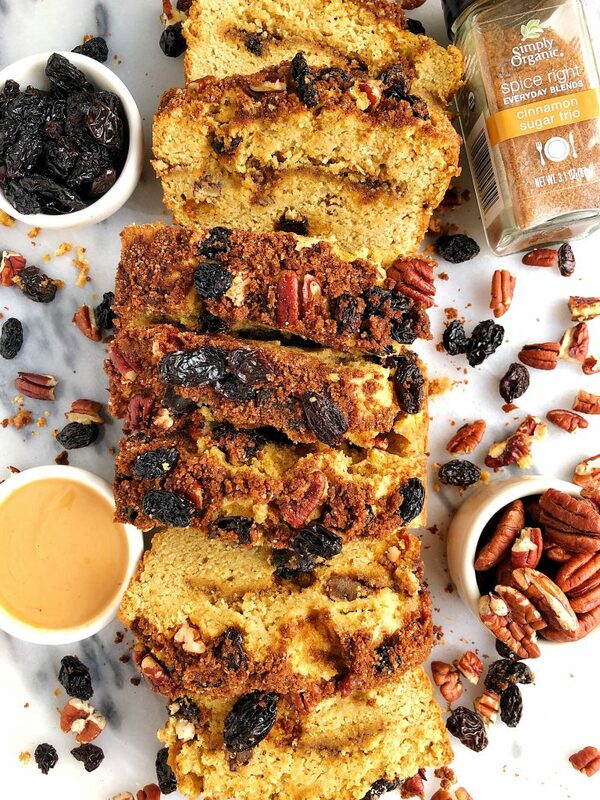 Everything from the savory spices to sweeter ones like the cinnamon sugar trio always add so much flavor to any recipe! Thank you Simply Organic for sponsoring this post. It means so much to me to partner with brands I love and believe in! Hi! What is an alternative to tapioca flour? Is it possible to just use cinnamon and not the cinnamon sugar spice? Have you tried it using flax eggs?